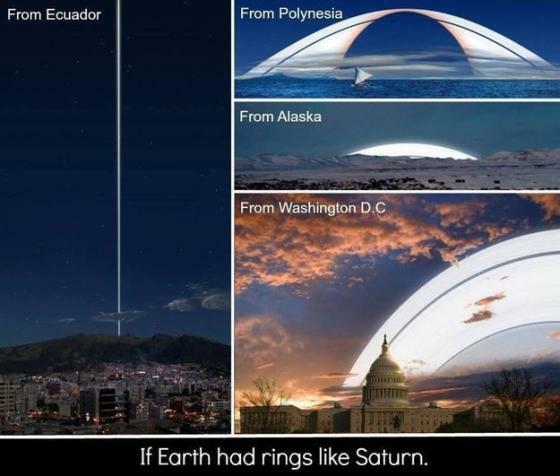 What would the sky look like if Earth had rings like Saturn? This shows the scale of those rings in Washington, D.C. and other points across the globe. Ron Miller retains rights to this image through a Creative Commons license.